With only 15 starters this weekend in Florida in the Pro Stock class, to try and qualify for 16 spots, something is wrong on the Pro Stock side. It’s telling when NHRA’s Mello Yello Drag Racing Series comes to central Florida and only 15 Pro Stock competitors make the bell for final eliminations in the Amalie Oil Gatornationals, isn’t it? 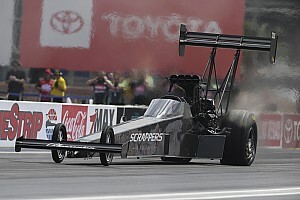 The factory hot rod class, while not as aurally and visually stunning as Top Fuel and Funny Car, is far more competitive than either of the nitro-fueled categories. In a Pro Stock paddock secrets are the norm - unlike the nitro runners that use very similar mechanical bits - all of the costs to race have gotten way out of hand over the past few years. Engine revolutions are climbing past the 11,000-rpm mark, while development on internal components like camshafts and pistons adds up to even more expenditures. These silhouette racers have, perhaps, gone beyond their usefulness as currently regulated. 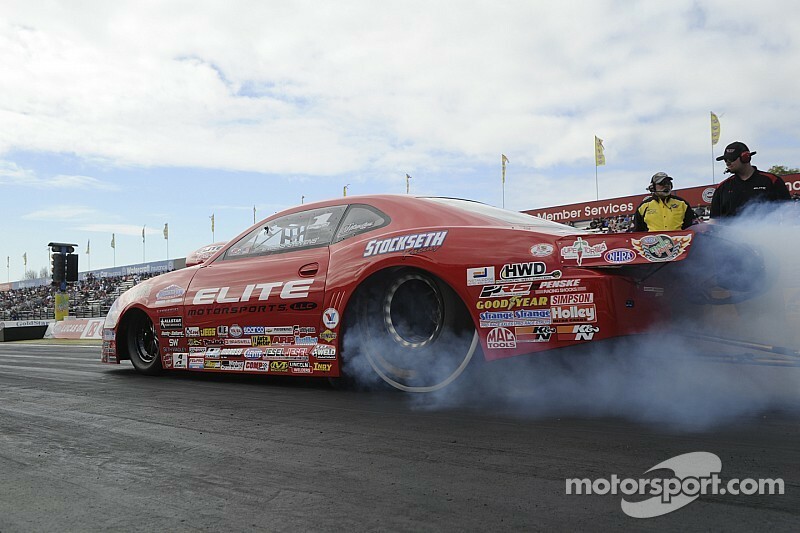 Running before the nitro classes in qualifying and after them in Sunday eliminations, Pro Stock doesn’t get the respect it deserves. Taking a 500 cubic-inch engine like the ones in this class to more than 210-mph is not for the feint of heart. It takes hours and hours of time on flow benches and in dyno rooms to make these cars drive so quickly down the quarter-mile racetrack. Still, the paying customers just don’t come to the grandstands to witness these feats. And when few are watching, why should racers want to compete? Why would sponsors want to come onboard when their product isn’t seen flying down the drag strip? Is there anything that can save this class from becoming irrelevant? Walk through the paddock and you’ll hear lots of proposals, including changing fuel delivery from carburetors to electronic fuel injection, used in Top Fuel, Funny Car and by a preponderance of the Pro Stock Motorcycle class (there were 23 bikes at the Gatornationals vying for the coveted 16 spots in elimination; there were 20 Top Fuel entrants and 17 Funny Car competitors). Some would like to see a maximum rpm level, perhaps down to 9,000 rpm, something that can be accomplished fairly easily through already-used ECUs onboard the Pro Stock engines. This year, Pro Stock is subject to two major changes. Like every other NHRA class, Pro Stock has moved from using VP to Sunoco fuels and many tuners are finding the going tough. Finding the sweet spot on these volatile engines is always difficult; the new fuel has a different viscosity from the one used before and, like any stricture that’s newly introduced, coming to grips with the fuel takes time - even for the most experienced and most successful tuners in the paddock. Another issue that Pro Stock is dealing with in 2015 is a new rear Goodyear tire. In the past, Pro Stock cars would have to “prime” their tires by breaking them in with many runs prior to competition; the new rear tire doesn’t require as many pre-race passes, which is good and ultimately saves money, but its characteristics are different and take some getting-used-to. Another curveball for the class, right? Of the 15 racers on-hand this weekend, three are part-timers: Jimmy Alund, John Gaydosh and Alan Prusiensky. Richie Stevens is joining the tour later this year to compete in at least 10 events on the 24-race docket. He’ll be driving a Dodge Dart (while wife and current champion Erica Enders-Stevens races a Chevrolet Camaro SS). And there may be others on the sidelines that intend to join the tour who aren’t showing their cards yet? The fact that Pro Stock is now a two-car show is debilitating. This is supposed to be a factory hot rod classification, but only Dodge and Chevrolet are competing. Ford dropped out - again - at the close of the 2014 season (after barely being part of the show for several years) and Toyota is still on the sidelines here, despite a big presence in Top Fuel and Funny Car. One of the justifications for staying out of this game is Toyota’s interest in showcasing its road-going vehicles and none of them uses carburetors any longer. And hasn’t in years. 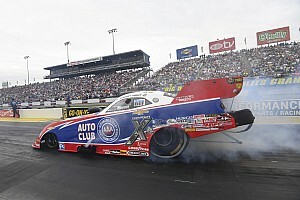 It’s true that Pro Stock is more difficult for NHRA to police because of the many variations used by competitors to stay ahead of the pack, something that costs those racing in this class a lot of money and secrecy while NHRA has a tough time finding tech personnel that know where to look. This is a problem industry-wide as anyone working for a sanctioning body in technical operations generally doesn’t know what’s happening behind the closed doors of engine building concerns, particularly if they were once involved and have stepped away. Nobody wants to share their secrets in any racing discipline. So open up Pro Stock, NHRA, and let it live and be healthy, please. Impose a 9,000-rpm rev limit, introduce EFI and find a way to make the sport more relevant to automobile manufacturers around the world. If race-goers see a car they own (or love) on the racetrack, more likely than not they’ll put their buns in the seats and create more income for the tracks and sanctioning body. And that means everyone can be happy: the competitors, the fans, the tracks and NHRA. Ah, a win-win situation. Wouldn’t that be nice?